If you are looking to visit the beach area of Camaguey but don’t want the all-inclusive experience, the 2 star Hotel Costa Blanca in the town of Nuevitas, just 94 km (58 miles) from the city center, is a great choice. With rooms that cost less than half the all-inclusive rates of hotels in Santa Lucia Camaguey, you’ll be able to save money while exploring the same areas. Nuevitas is probably the best place to stay if you wish to drive to Cayo Sabinal because it’s located half way between the city center and Playa Santa Lucia. All room rates shown at our reserve link below include breakfast to help you get started in the morning. 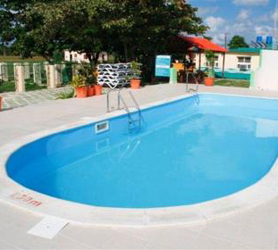 The hotel has a small but nice pool and ample grounds to relax and just chill out fatre your day of exploring the area with your rent a car. You’ll find numerous paladares or private restaurants in this sleepy Cuban town so you won’t be short of options to eat. From Nuevitas you are 20km drive from Playa Santa Lucia, 30 minutes from Cayo Sabinal and around 40 minutes from Camaguey City Center. This is a basic hotel but its clean and has a nice size swimming pool, the 2 star rates starting at just 20 USD per night its probably better (and cheaper) than a Casa Particular in the same area. Our booking process is unique because it shows the best rate from all of these for Costa Blanca near Santa Lucia in Nuevitas and the types of rooms available. 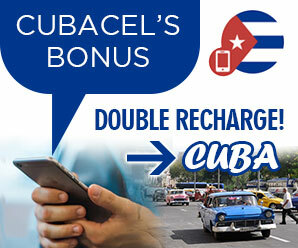 Our Hotel Costa Blanca in Nuevitas rate comparison is an industry first for Cuban Hotels. Once you’ve compared the rates, finalizing the booking at Costa Blanca near Santa Lucia Hotel takes just seconds and an immediate confirmation is provided in real-time. Camaguey Travel – Live Help?